A number of states require businesses operating commercial vehicles that use public highways to post a mileage tax bond. The bond’s purpose is to guarantee that the principals will pay all due taxes and relevant fees, interests, and penalties to state and federal authorities. In short, the bond ensures your company’s compliance with applicable laws. Mileage tax bonds work like other types of surety bonds. The bond is a contractual agreement between three parties. Your company that needs to get bonded is the principal. The authority that requires the bonding is the obligee. Lastly, the entity that underwrites the bond and provides the financial backing is the surety. Who needs to obtain a mileage tax bond? How much does a mileage tax bond cost? How do I get my mileage tax bond? How are bond claims handled for mileage tax bonds? The mileage tax bond– sometimes referred to as a “highway use tax bond”– is typically required from companies that have fleets of vehicles that are used for commercial purposes and operate on public highways. 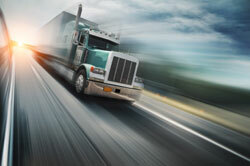 In the most common case, this means motor carriers such as trucking companies. The bond requirement may also be connected with the weight of the vehicles. Some of the states that require a mileage tax bond include Illinois, Oregon, and Kentucky. The best approach is to check with your state authorities whether your business will need this bond. The Oregon Department of Transportation’s Motor Carrier Transportation Division requires businesses that operate vehicles above 26,000 pounds to post a mileage tax bond. The bond acts as a safety net for the state and its citizens and ensures that the bonded party will pay all due taxes and fees and will follow the Oregon Revised Statutes. The Kentucky Transportation Cabinet’s Division of Motor Carriers imposes a surety bond requirement on companies that use highways to move goods and passengers. Its purpose is to ensure the duly payment of all applicable taxes and the bonded business’s compliance with relevant Kentucky statutes. The mileage tax bond in Illinois is required the Illinois Secretary of State. The bond protects the state from non-payment of taxes and other relevant fees by vehicle operators using highways. It also guarantees that the bonded party will follow all applicable Illinois Compiled Statutes. The surety bond price that you will need to pay to get bonded depends on the bonding amount that is required from you. State authorities set the bonding amounts, so you need to check the exact requirements with them. You can find some reference information on bond amounts and prices in the table below. To obtain the bond, you need to pay a bond premium, which is a fraction of the bond amount. In a typical case, this means covering 1%-5% of the bonding amount. A simple calculation shows that for a $10,000 bond, the premium would be in the range of $100-$500. How exactly is your mileage tax bond cost determined? Your surety has to take a close look at your personal and business finances. These include your personal credit score, business financials, and other assets. If your overall financial situation–especially your credit score– is solid, your bond premium will be lower, as you will be seen as a low-risk applicant. You can consult our surety bond cost page to get a full picture of how your bond price is calculated. It can be difficult to obtain the mileage tax bond you need if you have problematic finances. That’s why Lance Surety Bonds operates its Bad Credit Surety Bonds program. It’s here to help businesses with low credit scores, tax liens, bankruptcies, or civil judgements get bonded. The bad credit bonding premiums are in the range of 5% and 15%. The higher price compensates for the increased risk in the bonding. Still, with us you are guaranteed a top bonding rate for your particular case. We have close partnerships with numerous A-rated, T-listed surety companies, so we can find the best matching bonding option for your case. If you are ready to start your bonding, you can apply online today for a free mileage tax bond quote. For your exact bond price, you need to complete the full application and attach all necessary paperwork. We’ll get your bond price in no time. For a complete overview of the bonding process, you can refer to our How to Get Bonded page. Our bonding experts are here to help. Just call us at (877) 514-5146 and we will be happy to answer your questions. If you are new to surety bonds, it’s important to remember that they do not work like insurance for your business. Instead, the mileage tax bond protects state and federal authorities from non-compliance on the side of your company. In case you break the rules set forth in the law and in your bond language, you can get a claim on your bond. Proven claims lead to heavy financial damages. At first, your surety covers all costs, but you need to repay it fully afterwards. That’s why bond claims should always be avoided, as they can create serious challenges for your business.